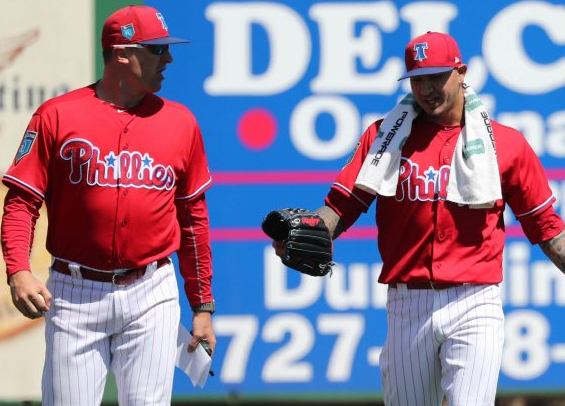 It appears the Phillies and manager Gabe Kapler will have a new pitching coach on staff come 2019. The Athletic's Ken Rosenthal was the first to report the promotion of Chris Young from assistant pitching coach to head pitching coach. A source confirmed the move with the Philadelphia Baseball Review on Wednesday afternoon. Young, a strong believer in analytics and a former scout, earned interest from multiple clubs as a potential hire this offseason. Rather than run the risk of losing him, the Phillies elected to promote him. Rick Kranitz held the pitching coach role last season for the Phillies. Though he's under contract for 2019, it's unlikely he'll return to take on a diminished role. The Phillies have yet to officially announce the coaching change.